Talking to Abraham — Hello. This is Kate. 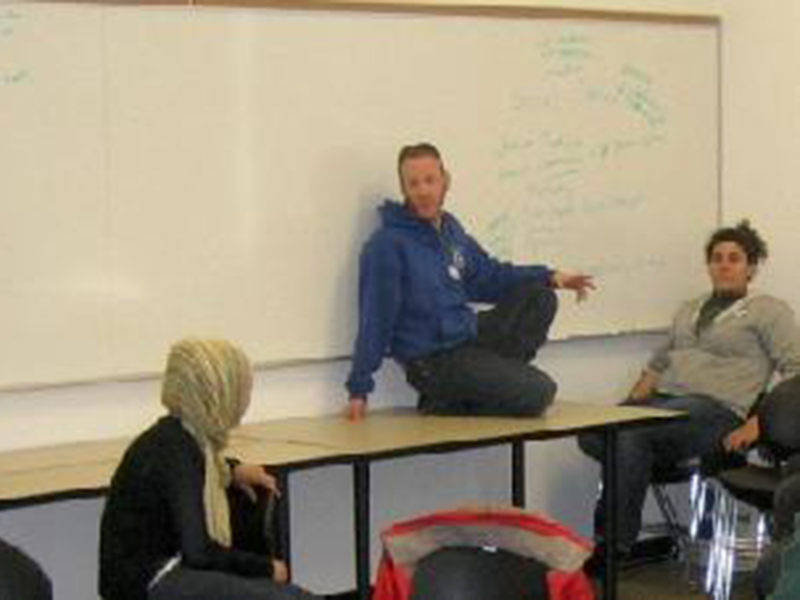 Talking to Abraham was a monthly interfaith dialog group I co-founded and facilitated at the University of Oregon, bringing together Jewish, Christian, and Muslim students on campus. Our objective was to engage students of different religious backgrounds, inform the participants about important issues, and integrate the religious community at the University. The events were curated to ensure equal participation and high-levels of exchange. Each meeting began with a presentation by an expert, and participants discussed their personal and religious views through a facilitated dialog. Discussion groups were intermixed with social events that included sharing in meals, prayer, and religious holidays hosted by participating students. Talking to Abraham created a space on campus for students to socialize outside of their in-groups. The exchange between students who otherwise might have never spoken to one another, and the excitement of students to participate (there was a waiting list) helped me to realize the need for us to create spaces where people are given permission to step out of their social expectations and engage. I was most impacted by seeing first-hand the value of curated dialog, particularly when it can be integrated into our everyday, lived experiences.